31160 Phoenix was the only member of its class to receive Railfreight Distribution livery. 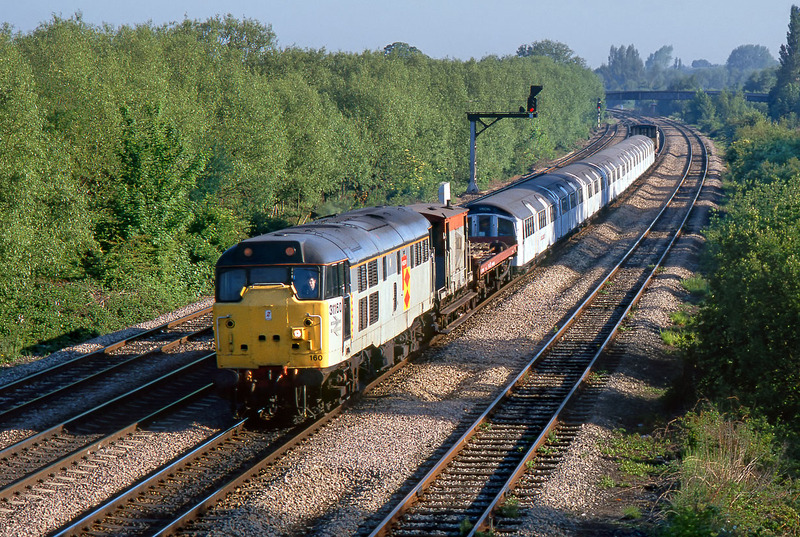 In this guise it is seen here at Walton Well Road, Oxford, on 26 May 1990 with another refurbished LUL underground unit en-route from Crewe to West Ruislip. Unfortunately at 07:35 the sun is not yet on the front of the train at this location, and the shadows are still a problem. However, it certainly makes an interesting historic picture.